The Indiana University East School of Humanities and Social Sciences (HSS) will present the Regional Writers Series: An Evening with Elizabeth Berg, at 7 p.m. on Tuesday, September 22, in Vivian Auditorium, located in Whitewater Hall. The event is free and open to the public. 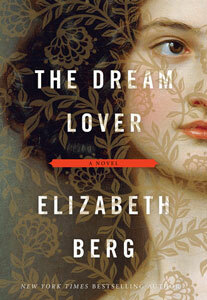 The Dream Lover and other books by Berg are available for purchase in the Campus Bookstore. A reception and book-signing will follow the evening lecture. Author of more than 20 works of fiction and nonfiction, Berg has won numerous awards, including the American Library Association’s Best Books of the Year for Durable Goods and Joy School and an Oprah’s Book Club Selection for Open House. She is the founder of Writing Matters, a reading series designed to serve author, audience, and community. Berg lives part-time in Chicago and San Francisco. While at IU East, Berg will also work directly with students during a one-hour workshop. Tanya Perkins, faculty advisor for the student literary magazine Tributaries, said the Regional Writers Series highlights the remarkable diversity of writers in the Midwest: from rural bards to Affrilachian poets, Rust Belt essayists to post-apocalyptic novelists, slam poets to short story writers, and more. This series will shine a light on the wealth of excellent writing and writers in the Midwest, she added. HSS will host one author a semester as part of the Regional Writers Series. In the spring, Amy Pickworth, award-winning poet, will visit the campus April 6-7, 2016. David Baker, award-winning poet, recipient of Guggenheim and National Endowment for the Arts fellowships and poetry editor of the Kenyon Review, is scheduled for fall 2016. Katy Didden, poet, and assistant professor of English at Ball State, will visit in spring 2017. Ross Alexander, dean of HSS, said the school is proud to host the Regional Writers Series. “This series will provide IU East students and the surrounding community with accessible opportunities to meet, work with, and learn from established and published writers active in this region,” Alexander said.